Mild spice mix derived from India. Made from finely ground coriander seed, cumin, turmeric, mustard, fenugreek, ginger, cardamom, cloves and chilli powder. 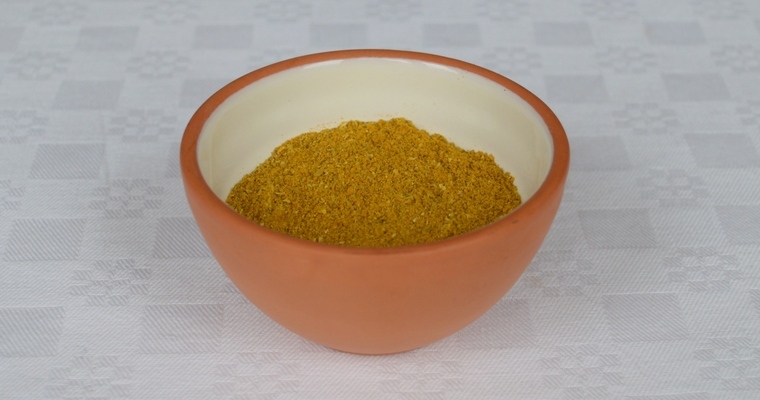 Curry powder is a blend of ground spices that was exported by the British in an attempt to replicate the cuisine they found in India during colonial rule. It is a somewhat distorted and inauthentic representation, as Indian cooking uses fresh pastes mixed from wet and dry ingredients rather than ready-made powders. The ingredients used in curry powder are moveable, since it is a generic term that is expected to cover the full gamut from sweet to heat. But typically recipes include chilli, coriander seeds, cumin seeds, mustard seeds and turmeric, and will be labelled mild, medium or hot. While I wouldn’t advocate using curry powder as a base for making a curry, it works well when mixed into ground meat or rissole-type creations.